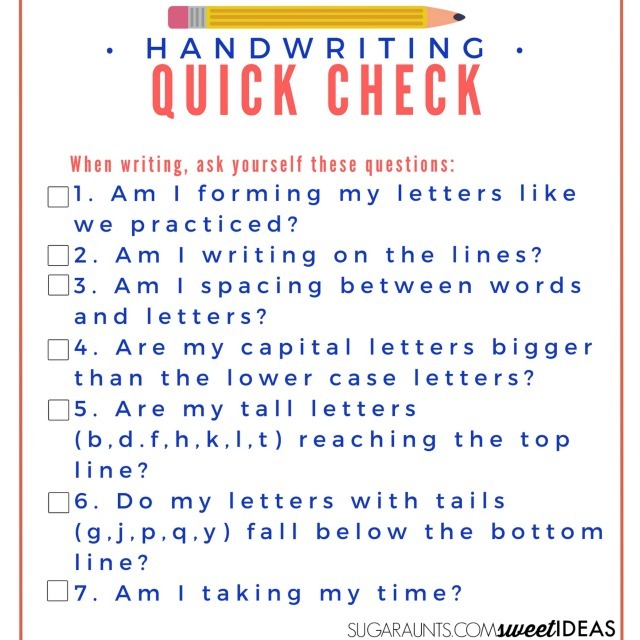 When kids have been introduced to different techniques for beating their handwriting blahs, been provided with accommodations for handwriting difficulties, and even provided with modifications to written work requirements, a quick check can help with legibility. 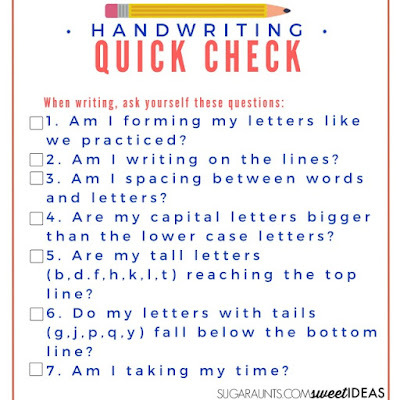 A child can use this quick check list to self-monitor and self-check their handwriting for neatness. A self-checklist should have questions to monitor letter formation, size, spacing, line awareness, upper case and lower case letter formation/size, letter positioning, speed, neatness, and legibility. 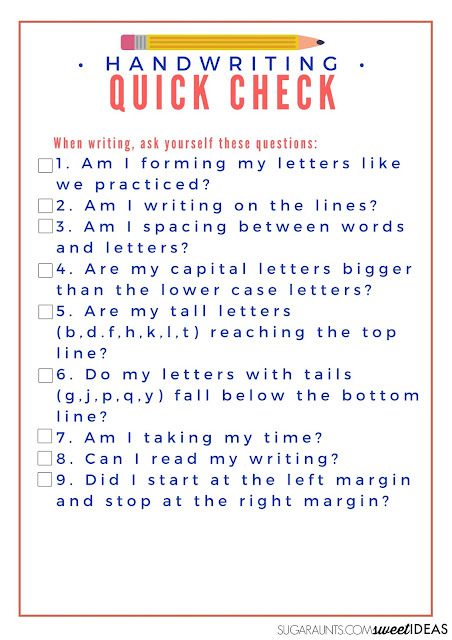 Print this checklist out for classroom use. It is available as an 8x 10 inch Free printable here. We also have a poster sized printable version available for 99 cents in our store.